Of late, I have been listening to the Scottish band Frontierer. It's mathcore and mathcore so heavy that even us metalheads joke that this is pretty much straight up noise, ha! It's tons of fun...if it's your kind of thing. But as non mainstream music in general heads in the direction of louder and weirder, I have wondered whether new bands would continue to experiment in settings drenched in conventional melody. I don't insist that all music should be beautiful in the conventional sense of the word but at least some of it should be, if I may say so. And it's no good if the only melodic music that remains is that which nostalgically imitates the old with no original voice of its own. 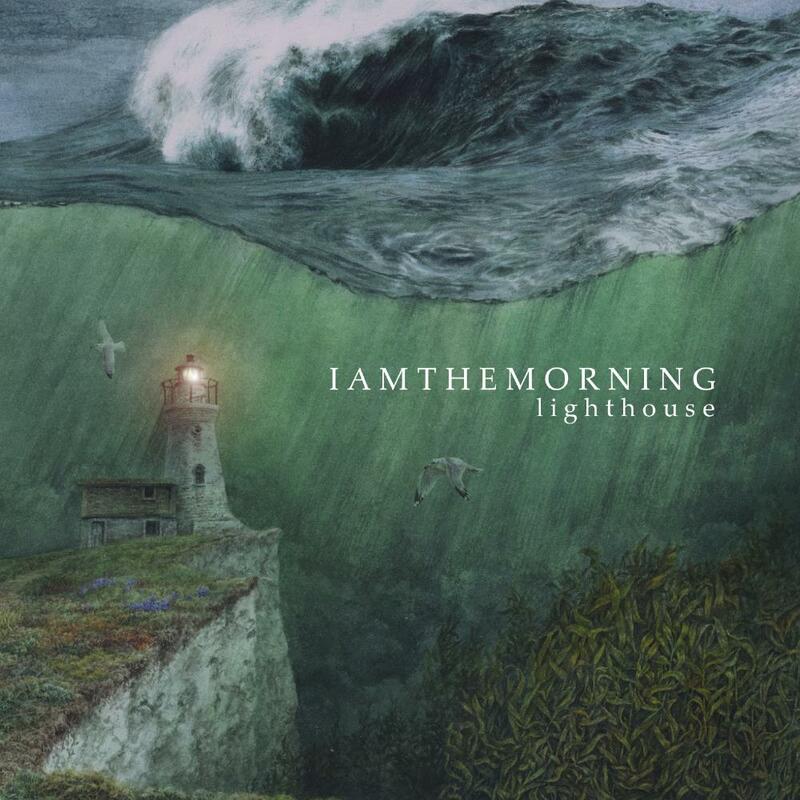 Fortunately, Iamthemorning's music seems tailor-made to address all such misgivings and misplaced apprehensions. You couldn't get too many outfits this square, this antiquated if you scourged every nook and cranny of the planet. Driven primarily by soft mezzo female vocals and piano with an assortment of string and wind instruments. Guitar, drums and bass (indeed the rhythm team of Porcupine Tree itself) exist only to carefully inject occasional doses of power, not to dominate the proceedings as they usually do in rock. Perhaps, though, there is something bold about this antiquity. What kind of band boldly steps forth to release music made with such a vintage ensemble in the 2010s? The answer: obviously a band that bloody well know what they are doing. Specifically the pianist Gleb Kolyadin. His touch on the instrument is absolutely silken and together with the ultra thin voiced Marjana Semkina he proceeds to explore shades of soft, softer and softest. You had better crank up the music a little. You have to reach out and get to the music a bit rather than it coming to you loud and clear as modern music tends to. Another defiant note of antiquity, preferring to make a soft and (ultra) dynamic album rather than a loud and compressed one. A shout out to the mighty Gavin Harrison. How, just how, does he go from the muscular prog metallish expeditions of Porcupine Tree to this? Take a listen to their debut album, though, and you realise it isn't really about Harrison or the plethora of musicians they have assembled for this project. And this is not to say that the musicians haven't, to a man, done a fabulous job here. But the debut is pretty much equally enchanting, equally beautiful. So this singer-keyboardist duo have hit upon a niche that they could milk for another half a dozen albums without boring their fans to death. As long as Kolyadin is able to come up with chord progressions that you could swear you have heard before and yet sound uncanny and fresh (that's songwriting magic right there for you), he can go on writing these songs that are neither ambitious enough to be full fledged prog epics but are still mostly a bit too complex to be straight up pop. And once in a while, he can decide to flex his muscles and reveal those chops that he chooses to use very sparingly. Check out Chalk and Coal, the piano break at around 3:40 in said track where in 20 seconds of calculated frenzy he sweeps you off the floor. Certainly my favourite track of the album but the title track, Too Many Years, Harmony are all well worth your time. The whole album, really. Not one false note on this amazingly consistent, cohesive compilation of tracks. I am not quite as dazzled by Marjana Semkina's vocals but she is pleasant, more than capable and most importantly emotes aptly for the mood of these songs. Coming to the mood, this is decidedly less sunny than the debut. More Iamtheevening than Iamthemorning. But that's alright; variety is the spice of life. If anything, it shows the band has deceptive range, adapting to these sometimes gothic moods as easily as say the bright sounds of Weather Changing off the debut. There isn't much to add except to say that I love this album to pieces and look forward to plenty more music from this band.